Keeping the kiddies fed, watered and entertained over the winter school holidays can be one of the most challenging parental directives of the calendar year. That is, unless you know the secret for a memorable day in one of South Africa’s family-friendly Wild spaces. A visit to a park or reserve offers unbeatable moments to learn, unplug from technology and keep active – no matter your child’s age, hobbies or personality. We’ve got five child-pleasing activities to inspire a love of the wild for years to come. Cast a line, a boat or a blanket at Nagle Dam. This game reserve in the Valley of a Thousand Hills offers a picturesque spot to relax and make memories – whether by canoe, fishing rod or picnic. Nagle Dam has become a destination for bass fishing and is home to zebra, impala, duiker and various other antelope, as well as a wide variety of bird species. It’s a low-stakes spot to introduce young kids to the wild and KwaZulu-Natal’s own “Table Mountain”. Ideal for families or groups, this winter school holiday activity has a little something for everyone. 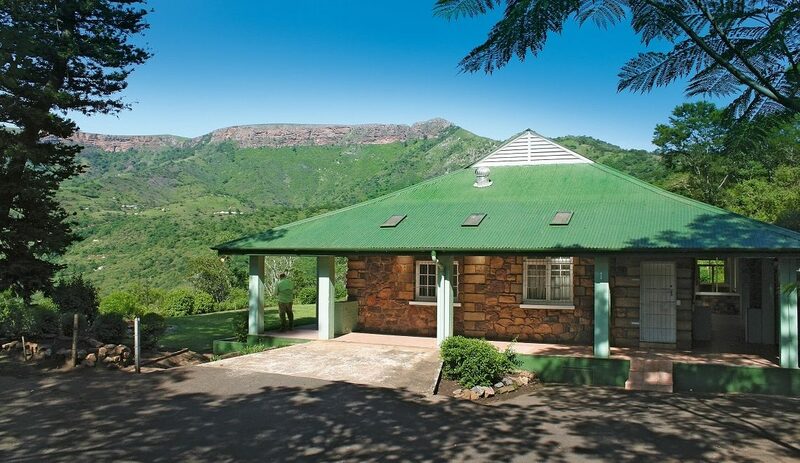 It’s less than an hour from Pietermaritzburg and Durban, and has opportunities for hiking and game drives. Best of all, Msinsi is offering 50% discount on accommodation until 31 August. Gate times: From 07:30 to 16:30. Price: Entry fee is R25 an adult, R12,50 a child, and Wild Card members free. Book by calling +27 (0)31 782 8085 or +27 (0)79 500 3189, or email [email protected]. This is the ultimate day-trip destination for the ‘wild child’ in your brood. Where the Atlantic and Indian oceans meet, this rugged coastline and its mariner past will captivate young minds with tales of brave explorers who sailed around the tip of Africa under the fiercest of conditions. A trip to the Agulhas lighthouse and surrounds is the best way to stunning panoramic views and shipwrecks that dot the coast. The second oldest lighthouse in South Africa, this place definitely has some stories to tell! Bring binoculars – if you’re lucky, you might spot some southern right whales. Next, be sure to visit the remains of ancient stone fish traps used by the Khoisan, to the east of the lighthouse. The Rasperpunt Heritage Site shows how the region’s indigenous peoples hunted and foraged to feed their families and survive on this stormy cape. It’s a great time to reflect on how easy we have it as modern families – where fish and food are often just a quick-drive-to-the-shops away. 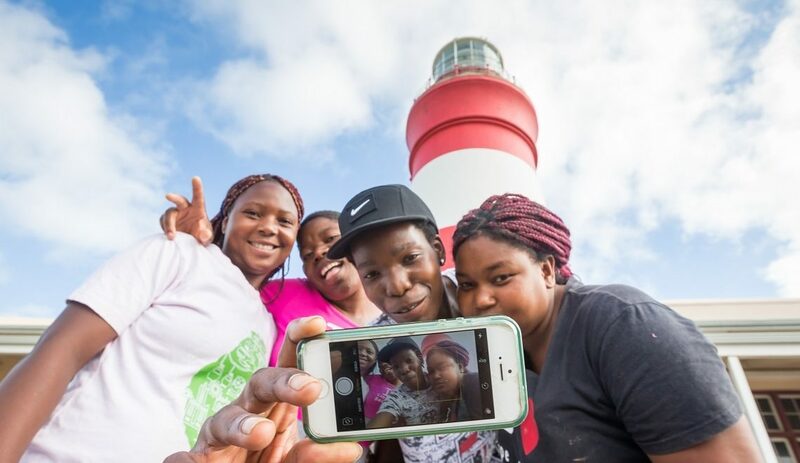 Operating hours: Cape Agulhas Lighthouse is open from 09:00 to 17:00, seven days a week. Last climb to the top of the lighthouse is at 16:30. To enter, adults pay R31 per person, and R15,50 for children under 12. Price: Free for Wild Card members. Without a Wild Card, South African citizens and residents pay R41 per day for adults and R21 per day for kids. Best suited for: Kids and teens. The climb to the top of the lighthouse is steep with ladders, and may not be suited for kids under six years. Nothing says epic school holiday like a game drive in Kruger. The park offers ranger-led drives and walks for families with kids older than six years. If you’re opting to self-drive, plan a route with plenty of opportunity to get out at lookout points, picnic spots and bird hides. Be sure to keep Letaba Rest Camp as a stop – it’s an ideal way station between Phalaborwa Gate and Olifants, Satara and Mopani rest camps. Its sandy riverbed is prime for game viewing – a thrilling first encounter with big game like elephants will have your children talking for weeks. If you’ve got a keen scientist or budding conservationist in your young group, learn more about these big tuskers at Letaba Elephant Hall. Their real-life skulls and tusks, paired with informative displays, will teach your kids how long these grey giants live, just how big they are, and why it’s so important to protect them from poachers. Operating hours: Letaba Elephant Hall is open Mondays to Saturdays from 08:00 to 20:00, and Sundays from 08:00 to 18:00. Price: Free of charge, but daily conservation fees apply when entering Kruger. 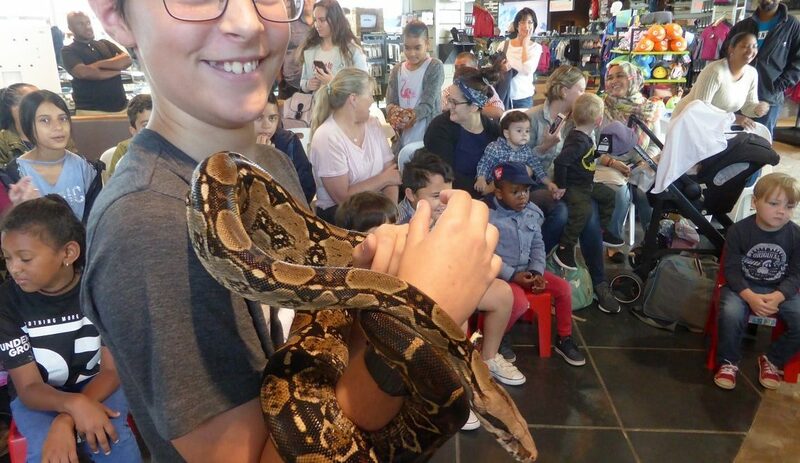 Wild members enter free, otherwise R83 an adult, R42 a child. Best suited for: Kids must be six or older to go on Kruger’s guided game drives. A day trip to Lambert’s Bay Bird Island Nature Reserve on the Cape’s West Coast will feel like the ultimate adventure – especially if your kiddies are lucky enough to spot one of its iconic inhabitants, such as the Cape fur seal, Cape gannet, African black oystercatcher or whales. From the camouflaged bird hide, carefully study the birds – how they walk, call and interact – then have fun mimicking them later on. The museum on marine life has beautiful displays and the visitor centre caters for kids with marine-themed puzzles and a super-sized gannet nest. Sit at one of the tables for a warming picnic lunch, with hot chocolate, of course. Gate times: During winter from 07:00 to 17:00 – entrance is prohibited if seas are rough. Contact CapeNature central reservations on +27 (0)21 483 0190 or send an email. 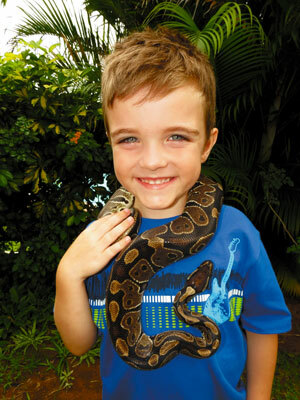 Price: Free entry for children aged 16 and younger at all CapeNature reserves between 22 June and 16 July. Normal conservation fees of R40 a person apply to parents. However, the whole family can enjoy the 40%-off winter discount for all self-catering accommodation and camping at nearby Rocherpan Nature Reserve or Cederberg Wilderness Area. Best suited for: Youngsters aged five and up. Take a ride on the wild side at Mlilwane Wildlife Sanctuary with Chubeka Trails. Their guided horseback adventures for beginners or experienced riders are a great way to get active and outdoors during the school holidays. Pre-book your ride through Mlilwane Rest Camp’s reception or Chubeka Trails’ central reservations. It’s an exciting mix of wildlife, adventure and culture – all seen from the comfort of the saddle. There are hourly rides concentrated on the southern plains, which sometimes cross the river and include a little forest riding. For those older than eight years with more time (3-4 hours), try the longer Rock of Execution Challenge. Guide-led pony rides around the Rest Camp are also available for kids under six. Operating times: Horse rides depart daily, and require at least an hour’s notice. Price: Prices vary depending on the park and itinerary, so contact Chubeka trails to enquire or book by email or call +268 2528 3943. Best suited for: Pony rides (15 minutes) led by guides for kids under six, and horse rides for kids aged seven and up. Riders must weigh less than 95kg.